SentenceShaper Frequently Asked Questions - Psycholinguistic Technologies, Inc. 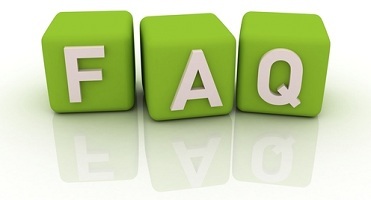 This page addresses questions that may not be covered elsewhere on our website. Please do contact us (you can use the link on the right side of the page) if you still have concerns or questions. You can click on a question below to see the answer. Does the program only work in English? How is SentenceShaper different from other communication aids? Are reading or writing abilities required in order to use SentenceShaper? What kind of computer skills are required in order to use the program? Can I try out SentenceShaper before I buy it? Can I run SentenceShaper on an iPad? Can I add pictures from the Internet to my workbooks? Why are the pictures in the preposition workbooks so odd?! Shouldn’t the program workbooks give feedback about whether my utterances are correct? The core functionality of SentenceShaper — letting you record speech in small chunks, replay these chunks, and arrange them into larger units — is language-neutral. You can use it with any language. There is one exception: if your language is read from right to left, you will probably want to arrange icons in that order when you create sentences and stories. Since the “Play Sentence” and “Play Story” buttons play items from left to right, just avoid these buttons and play each item individually. Other aspects of the program are English-specific: the word-finding tools and the built-in workbooks. You would need to create your own workbooks or translate the existing workbooks into your language. And if your language uses non-English characters, some parts of the program are not yet compatible with them. Please see the Manual, or contact us, for details. Probably the main difference is that SentenceShaper is designed to help you create speech in your own voice. Many aids provide a library of utterances that you can locate and then play. SentenceShaper is intended to help you build on what you are able to say. Although the program can give the user help with word-finding, its most remarkable effects derive from the processing support it provides. By the way, you do not need to choose between SentenceShaper and another aid. You may wish to create messages on SentenceShaper and then transfer them onto an existing AAC aid (if it has a tool for uploading sound files). And you can use another device to help you find words while you are creating speech on SentenceShaper. No. Although some text is displayed by the system, you can always hear this text spoken aloud. In addition, you now have the option of typing your own text into the Caption Box. If you have WordQ, it will play back any text in the Caption Box if you run it at the same time as SentenceShaper. Using this software requires only the most basic computer skills: single-clicking and dragging are the main kinds of operations required. Family members and clinicians who wish to customize the system (by adding words or pictures) should be able to do so without difficulty if they consult the SentenceShaper 2 manual. In terms of program mechanics, the most challenging part is recording your speech. First you turn on the recorder, then you speak, then you turn it off. Performing these three actions in the right order may take a fair amount of practice. If possible, you may want to let a helper work these buttons at first, while the person is getting used to the program. Yes! You can download the SentenceShaper 2 install program at no charge (click here) or order a CD to be shipped to you. At this time, SentenceShaper is a Windows-only program. However, spoken messages that you create with SentenceShaper can be “exported” and played on iPads, iPods, and other devices. SentenceShaper creates mp3 sound files, jpeg images, and playlist files that can be used on different platforms. So, for example, you could use SentenceShaper to create a “script” for some situation, then put it on a handheld device to share with others or to practice your speech. There are two reasons why SentenceShaper does not provide this kind of feedback. First, it would be technologically challenging at this time, because SentenceShaper would need to understand what the user has said, not just record it. And it would have to be able to decide whether a particular utterance is appropriate (for example, if the user is describing a picture of a woman feeding a cat, would the sentence “Mary takes very good care of her pets” be appropriate?). Although speech recognition and computer processing of human language are exciting technologies, they are not yet able to handle the range of possible utterances that users may create, and it would be frustrating for the user to be bombarded with misunderstandings and corrections by the program. That said, we have reported that speech created with SentenceShaper appears to be easier for computers to understand, and we are intrigued with the potential of integrating the program with a speech recognizer in the future. Second, and probably more important, is that SentenceShaper helps people to listen to their own speech more carefully (this is called self-monitoring). Improved self-monitoring is probably one reason why speech created with SentenceShaper is often better than spontaneous speech, and why people’s spontaneous speech may improve after using SentenceShaper. Self-monitoring does not require — and might even be disrupted by — a focus on the system’s feedback about correctness. We are often asked why the workbooks that train prepositions depict unusual scenes, such as a man reading a newspaper while sitting in a wagon. The reason is that people are more likely to mention location if it is somewhat unexpected. If the picture shows a man reading a newspaper at the kitchen table, they may or may not mention where he is. But if he is sitting in a wagon while reading the paper, this is much more likely to be mentioned. If you are creating materials for your own use, and not planning to distribute them, then it is usually acceptable to download images (Google Images, for example, is a very good source of pictures when you are making a SentenceShaper workbook). The same thing goes for videos created from your SentenceShaper workbooks (see the section on “Sharing your speech” for details about this feature). Sites like YouTube and Vimeo do not allow you to post videos that violate copyrights, so be sure that you have a right to use any image in a workbook you are planning to “publish”. Also, be careful when downloading anything from the Internet.